For this Outside story on the most innovative and coolest-looking outdoor gear, colleague Michael Frank and I pored over hundreds of products from dozens of companies to find novel creations like folding bike helmets, avalanche airbag systems, even auto-defrosting ski goggles. When medals are won or lost in hundredths or thousandths of a second, every bit of speed helps. For Popular Mechanics, I highlight the science behind high-end Olympic equipment like slippery swimsuits and how soccer ball construction affects its path in flight. 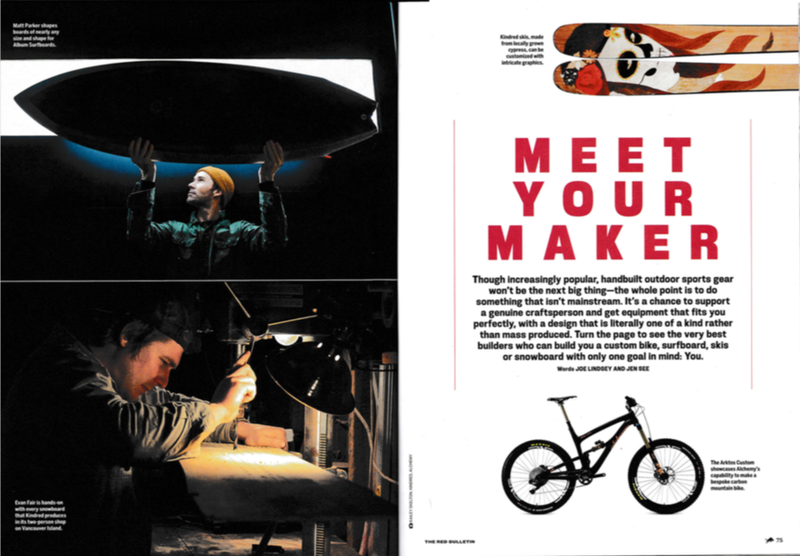 It’s rare to have the chance to exclusively highlight handmade sports gear, but Red Bulletin provided exactly that: from bikes to boards, Jen See and I profiled 16 makers of beautiful, bespoke equipment like Wagner custom skis and Crumpton carbon fiber bikes.